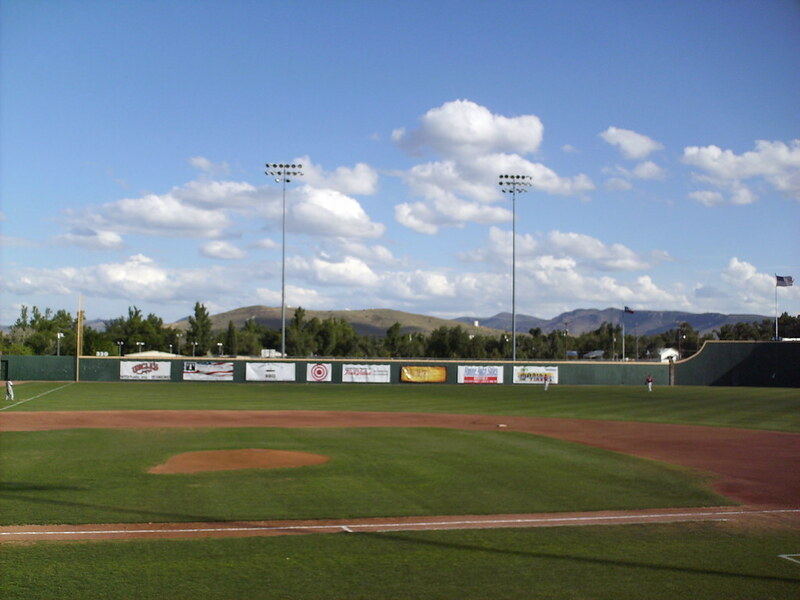 The view from behind home plate at Kokernot Field. 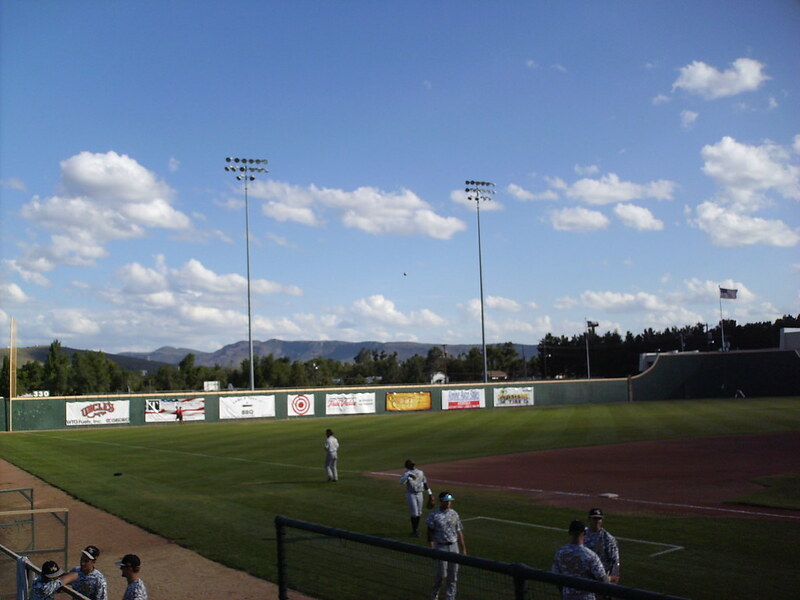 The grandstand at Kokernot Field, as seen from the right field corner. 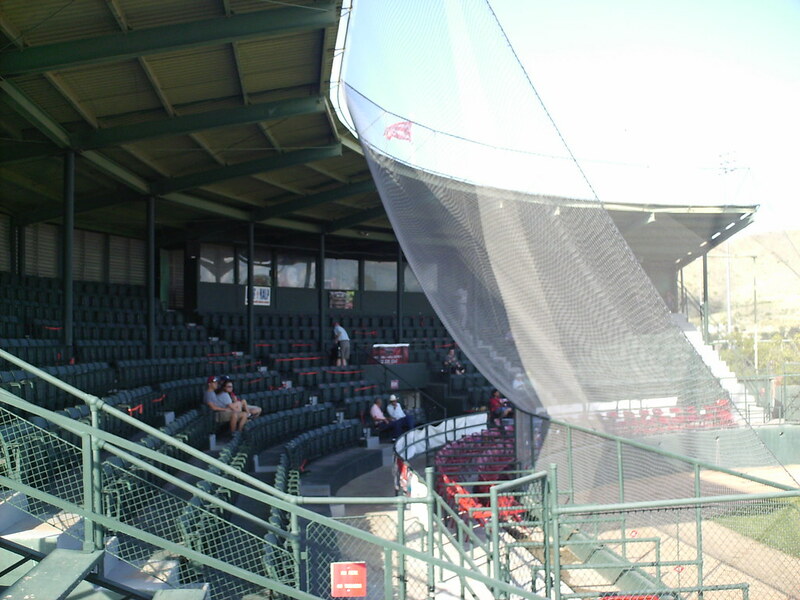 The park is the oldest professional ballpark in the state of Texas. 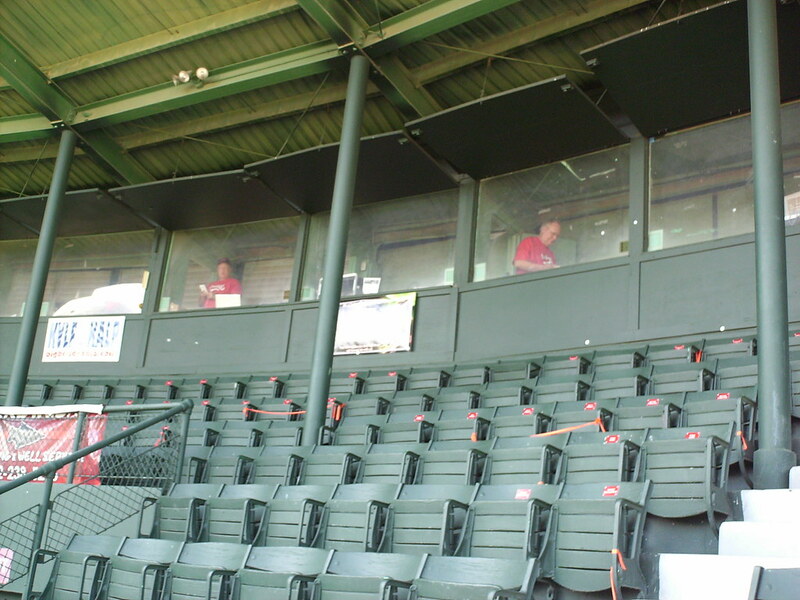 The pressbox, with wooden window shutters, sits at the top of the grandstand behind home plate. 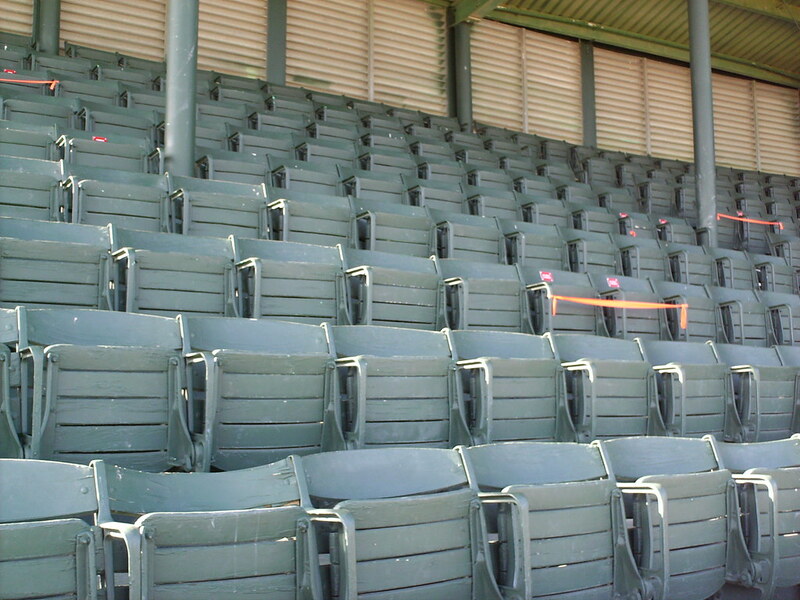 Seating in the main grandstand is all original wooden fold-down chairs, some of which are no longer safe to use. 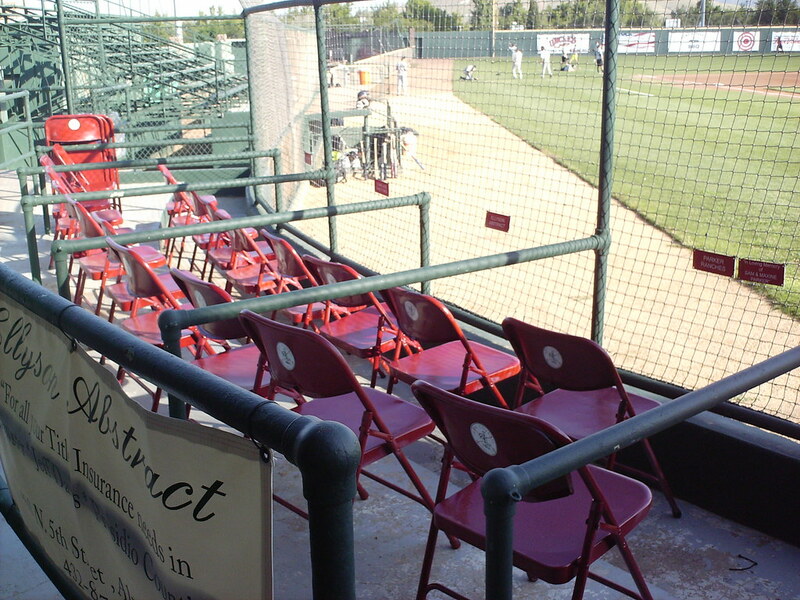 Traditional box seating at the front of the grandstand features metal folding chairs blocked off from each other and reserved for groups or individuals. 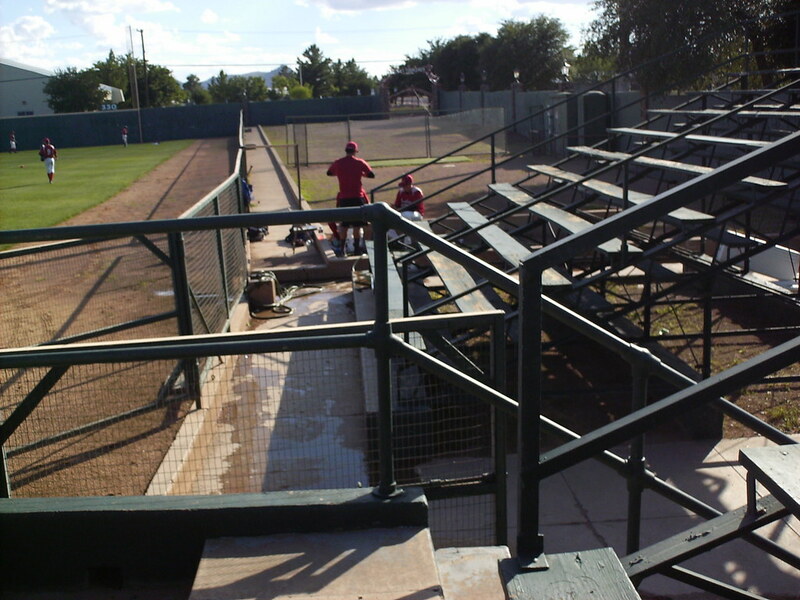 A large wooden bleacher section sits beside the main grandstand on the third base side. 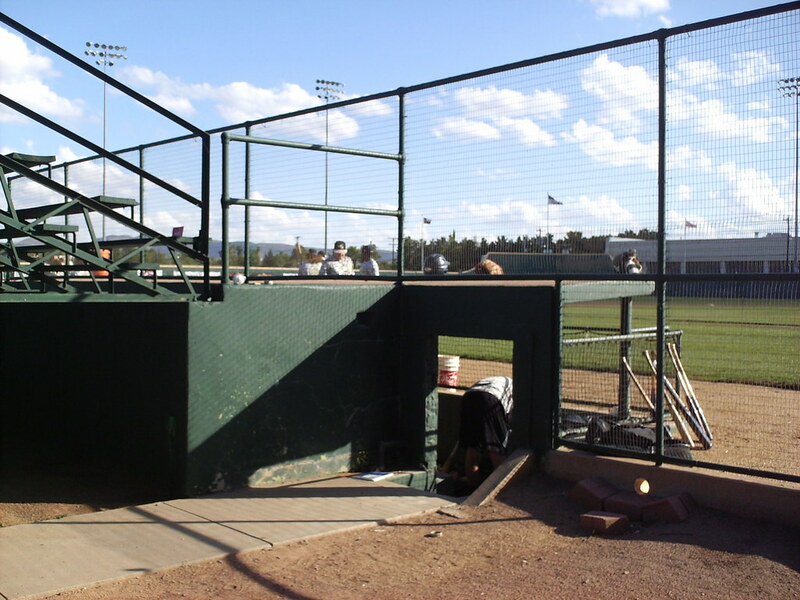 The visitor's dugout is located underneath the third base bleachers. 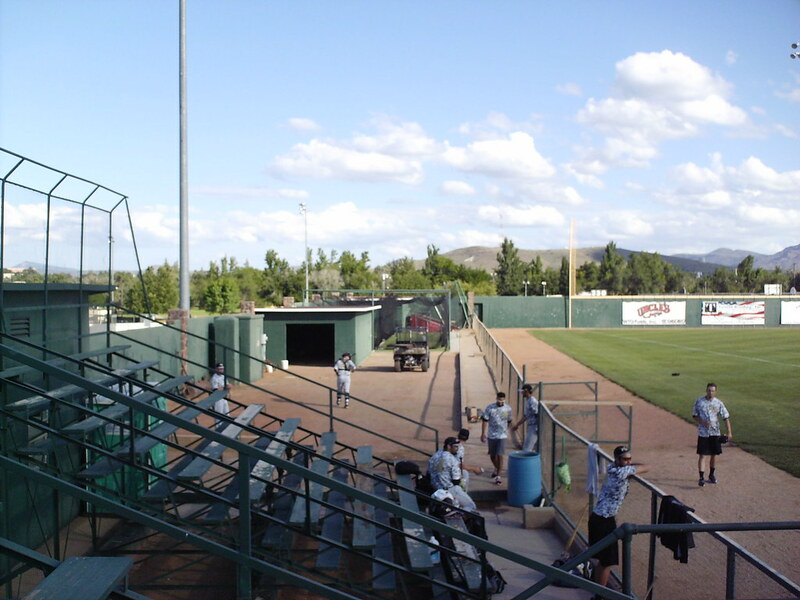 The visitor's bullpen sits in the left field corner of the ballpark. 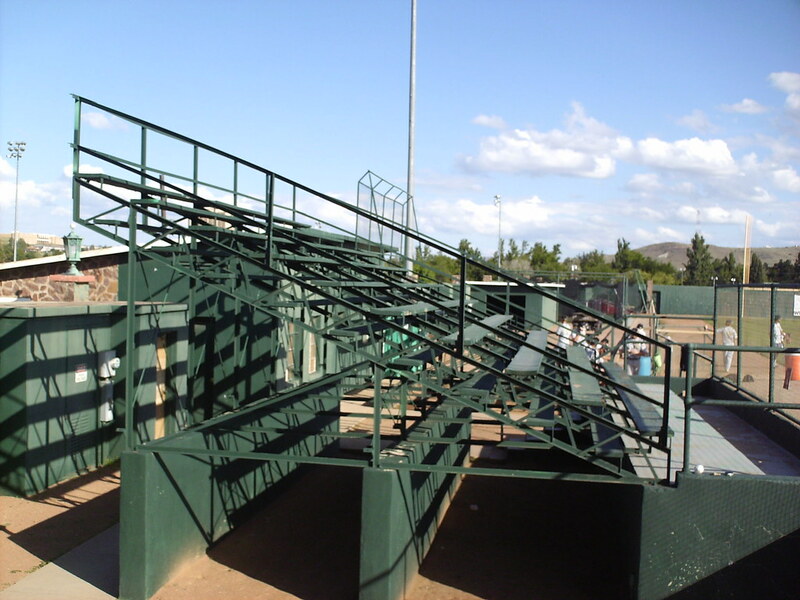 A smaller bleacher section sits on the first base side of the field, with the home bullpen beyond it. 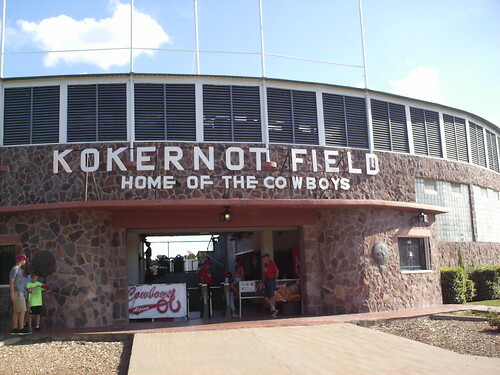 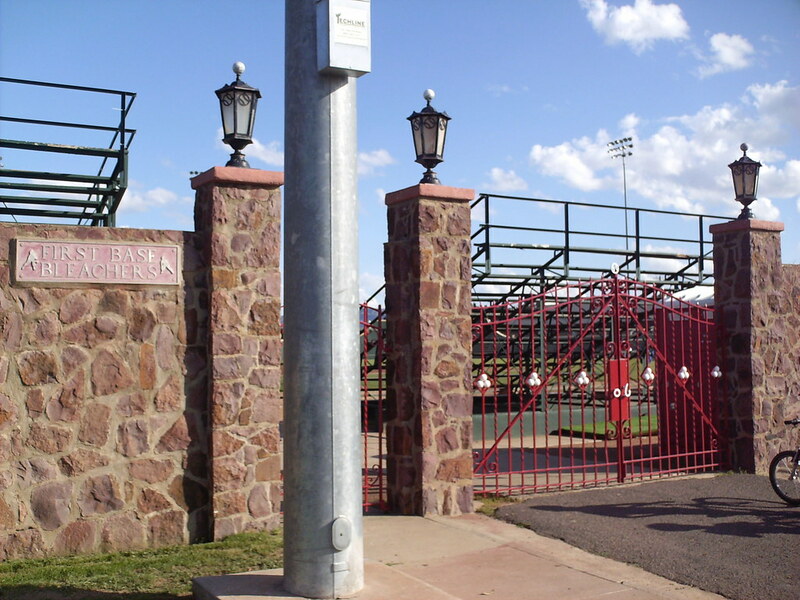 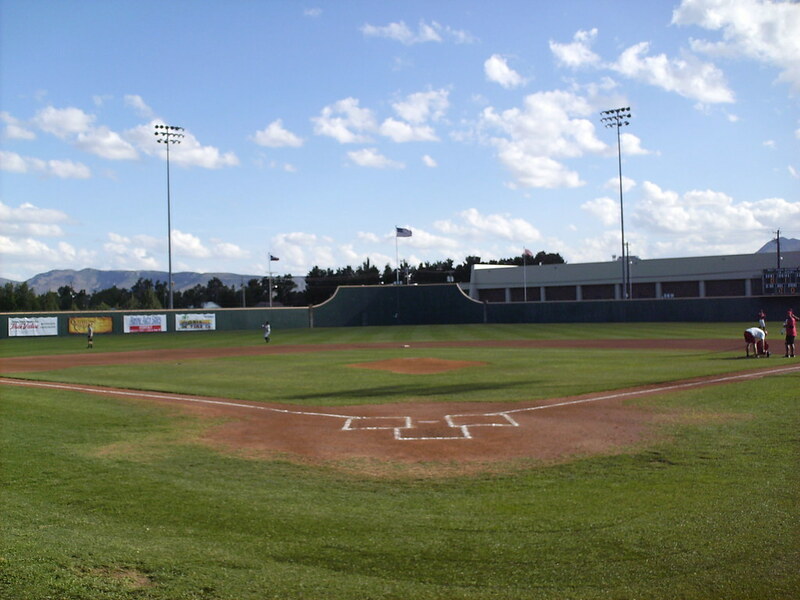 Kokernot Field was built by a local rancher for his semi-pro baseball team, and the exterior features stone quarried from his ranch, giving the park its distinctive look. 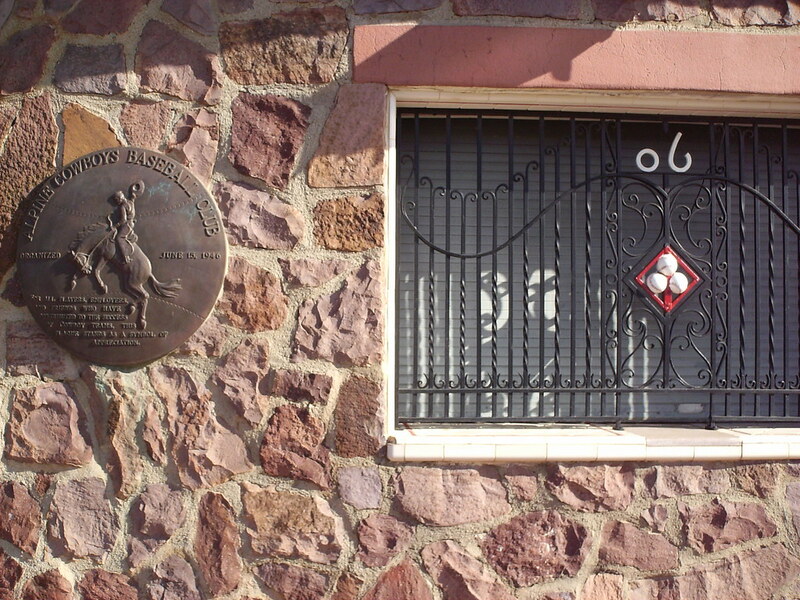 A plaque next to the ticket window celebrates the original semi-pro Alpine Cowboys, and the metalwork features baseballs and the Kokernot Ranch's "06" brand. 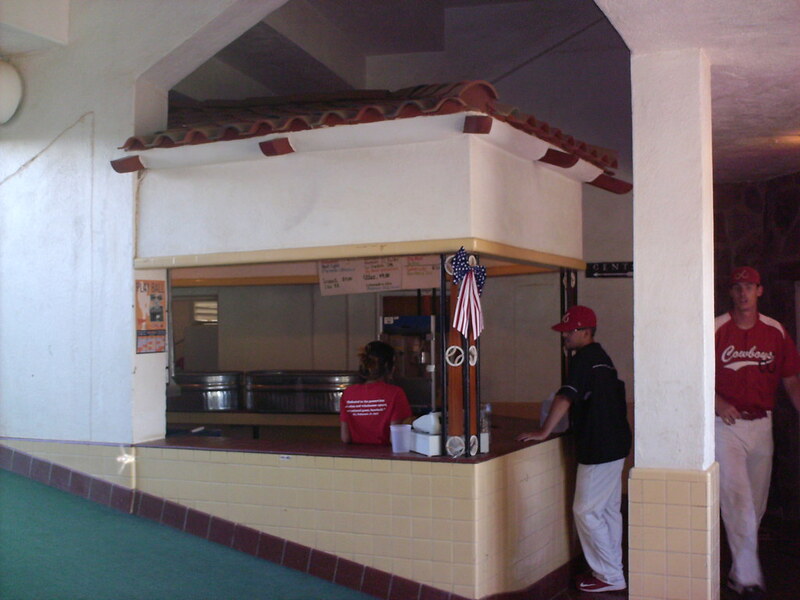 The small concourse underneath the grandstand features a terracotta roofed concession stand. 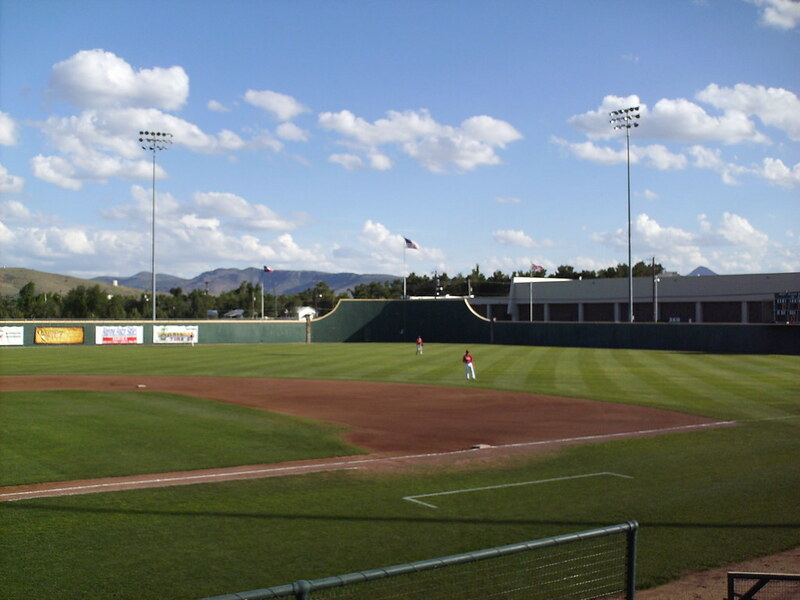 The park features a deep center field, where the stadium's exterior stone wall curves in front of the flag pole. 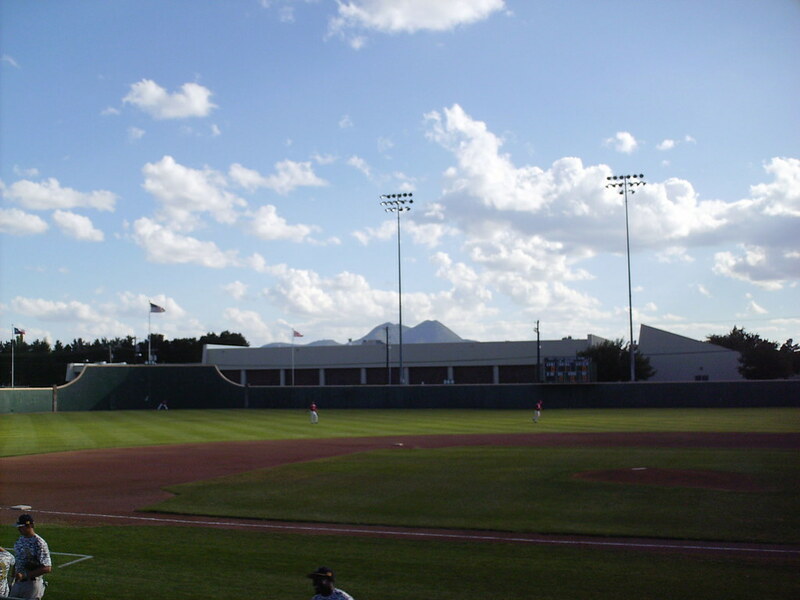 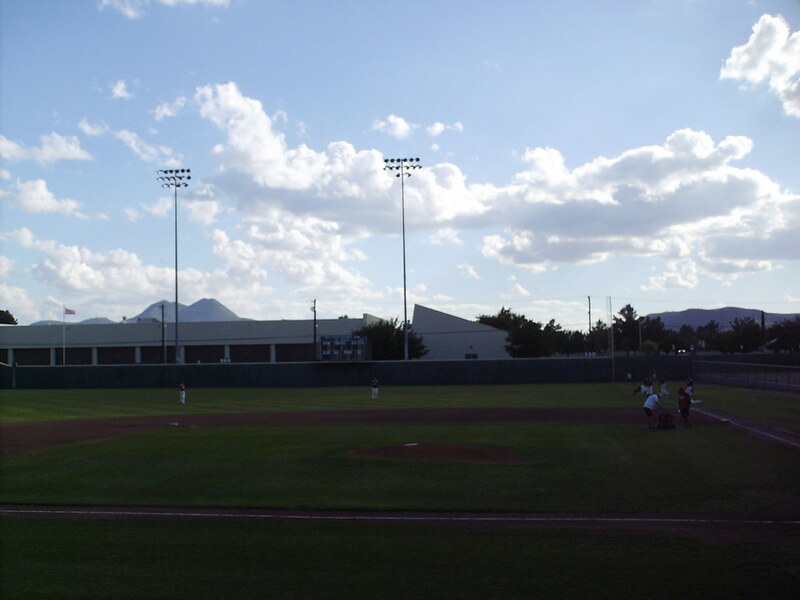 The mountains of southwest Texas provide the backdrop for a game at Kokernot Field. 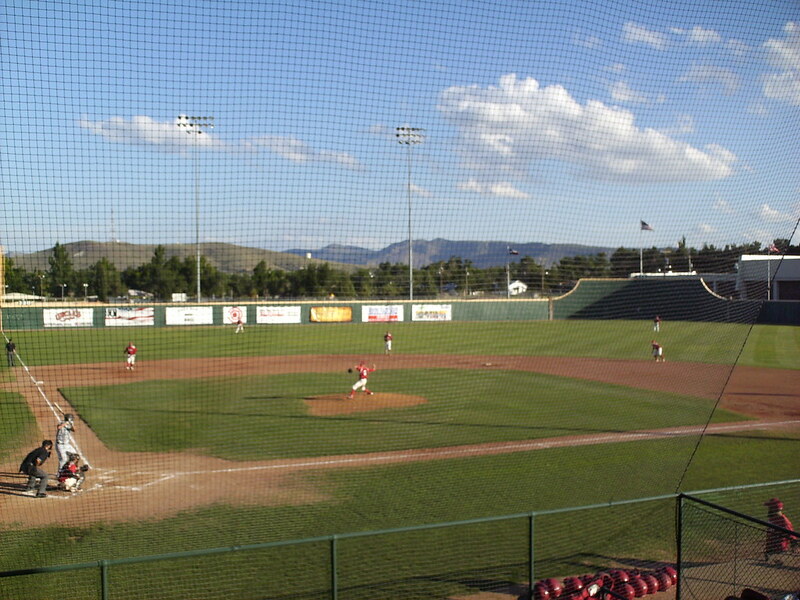 The Alpine Cowboys on the field during a game at Kokernot Field.